In this project, we're going to build a small weather-logging node using a Feather and a temperature sensor. The captured data will then be sent to The Things Network. What is The Things Network? The Things Network is a project dedicated to building a network for the Internet of Things. While WiFi is used in most Internet of Things devices, The Things Network uses a protocol called LoRaWAN which allows devices to talk to the internet without cellular or WiFi connectivity. This means you don't need to worry about protected wireless hotspots, cellular data plans, or spotty WiFi connectivity. It's ideal for most internet of things projects, and unlike cellular plans or WiFi - it's free to use. Also, there are plenty of gateways available to connect your feather to - if you'd like to find a gateway in your area, check the Gateway Map. We're going to use one of our RadioFruits, the Feather M0 LoRa. In The The Things Network terms, this will be used as our device. We'll also want to send data from our device to a gateway. This small sensor can read both the temperature and relative humidity. 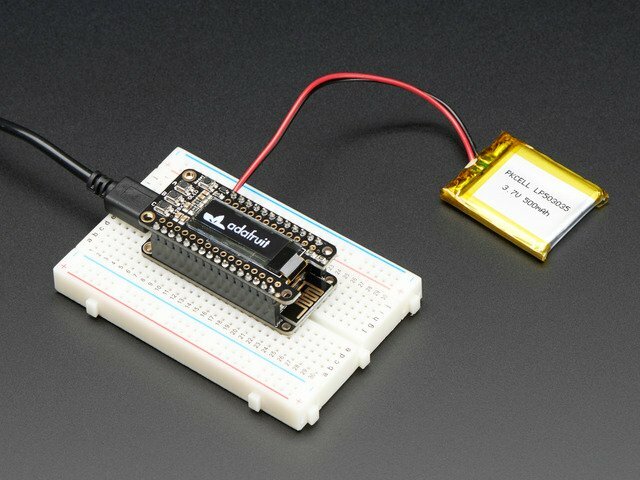 It's perfect for building small IoT data-loggers. Your Feather M0 does not come with an antenna, but there are two ways of wiring one up. For this guide, and to keep the build cost-effective, we soldered a small, 82mm wire to the ANT pad. Antenna Options and installation instructions are detailed on this product's learn guide's antenna options page. Note: Antenna length differs between regions, make sure you cut the antenna to the correct length for your region. Add a required jumper wire - Pin 3 is internally connected to pin io0, but we'll need to add a jumper wire between the Feather Digital Pin 6 and Feather Pin io1. 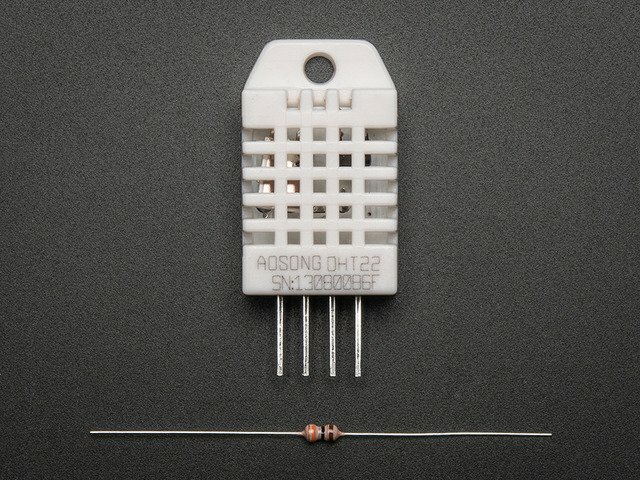 Make sure there is a wire connected between Pin 6 and the pin labeled `io1`. Your sketch will not work properly if these are not connected. Before your Feather can communicate with The Things Network, you'll need to create an application. First, we're going to register an account with TTN. Navigate to their account registration page to set up an account. Fill out an Application ID to identify the application by, and a description of what the application is. We set our Handler Registration to match our region, us-west. If you're not located in the U.S., TTN provides multiple regions for handler registration. Once created, you'll be directed to the Application Overview. From here, you can add devices, view data coming into (and out of) the application, add integrations for external services, and more. We'll come back to this section later in the guide. On the Register Device Page, The Device ID should be a unique string to identify the device. The Device EUI is the unique identifier which came in the same bag as your Radiofruit Feather. We'll pad the middle of the string with four zeroes. The App Key will be randomly generated for you by TTN. Select the App EUI (used to identify the application) from the list. Now that the application is set up, and the device is registered to the application, let's move on to wiring the Feather for use with TTN. 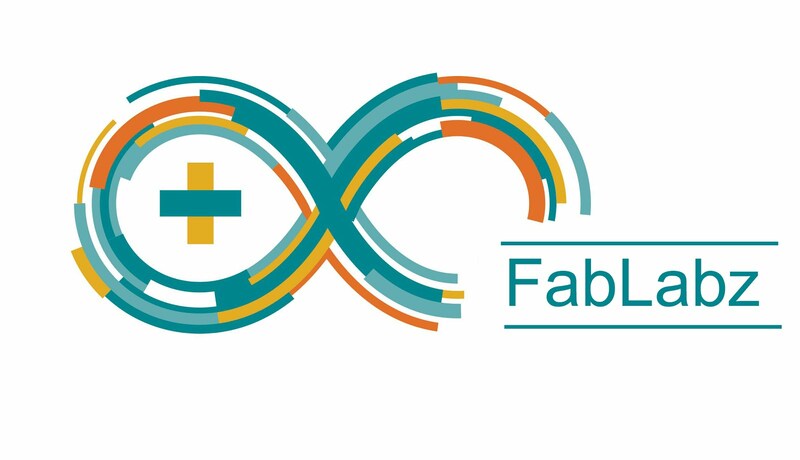 Before proceeding with this guide, make sure your board is correctly set-up by following the Using the Arduino IDE page of the setup guide for the Feather M0 LoRa. We're going to use MCCI's arduino-lmic library with this guide to communicate with The Things Network. Open the Arduino Library Manager (Sketch->Include Library->Manage Libraries). In the search box, type MCCI. the MCCI LoRaWAN LMIC library should be the first result. Click Install. The code for the Feather M0 Weather Node should pop up. Now that our code is set up, let's learn how to send data from our Feather to TTN and decode it! If you're within the United States, you can skip this page. The code and setup is already targeted towards the US frequency ranges. First, within the directory of your sketch, create a new folder named project_config. Simply uncomment the region your device is located in. We use a SX1276 transceiver on the Feather M0 LoRA, so this definition should not be changed. To register your Feather with The Things Network, you need to set three unique identifiers in the code: APPEUI, DEVEUI, and APPKEY. Navigate to the Device Overview page for your Feather device. Make sure the Activation Method is set to OTAA. Before adding the unique identifiers to our sketch, we'll need to first expand them by clicking the <> icon. Then, we'll need to switch the order of the Device EUI and Application EUI to little-endian format. You can swap the order by clicking the button with two arrows. We're going to copy each unique identifier from the Device Overview to the variables within the sketch. First, copy the Application EUI from the TTN console to APPEUI variable in the sketch. Next, copy the Device EUI from the TTN console to the DEVEUI variable in the sketch. Finally, copy the App Key from the TTN console to APPKEY variable in the sketch. That's all for now - we're ready to upload the code onto our Arduino. Most of what happens in the code occurs in the setup(), on_event() and do_send() functions. Within setup(), we initialize our DHT sensor and set up the LMIC (LoraWAN-in-C, formerly LoraMAC-in-C) framework for use with our radio (the RFM95) and region-specific radio settings. Our main loop() calls os_runloop_once(), which calls the LMIC runloop processor. This loop causes radio events to occur based on events and time - such as callbacks for when the transmission is complete. While you can place additional code within this loop() routine, we don't advise it - the LoRaWAN timing is tight. If there isn't a transmission job currently running, we're going to prepare the packet to send to The Things Network. This occurs in the do_send() function. To read the temperature, we're going to first create a floating point variable, temperature, and assign it to the temperature value from the sensor. While we can't directly send floating point numbers (like 50.62 degrees) to The Things Network dashboard, the MCCI-LMIC library includes some data encoding utility functions to encode floating point data into integer data using a special bit layout -sflt16. Since the floating point is within the range -1 to -1, we'll need to divide the range (by 100 for temperature) to increase the exponent range. We're going to get the value back in the range by later multiplying it by the range (100, in this example) using the decoder on the TTN Console. and prepare the payload for sending to TTN at the next possible time. If you're stuck on EV_JOINING or fail to join the network, make sure your device is within range of a The Things Network gateway. If the code is looping EV_TXSTART, make sure a jumper wire is connecting the Feather's Pin 6 and Feather Pin 'io1'. Navigate to the The Things Network Console and select your application. From the menu on the right hand side of the page, Click Data. If everything worked correctly, you'll see the payload from your device streaming into the page, in real time. If you're sending packets in strange formats or encodings (like we are! ), The Things Network Console has a programmable data decoder to decode the packets, and assign useful labels to the data. Copy and paste the decoder script below into the decoder's integrated text editor and click save. Then, click the data tab. Next to the raw payload data, you should see the decoded data for humidity and temperature. // throw away high bits for repeatability. // you can replace by a suitable shift and divide. * humidity data to The Things Networ using a Feather M0 LoRa. // working but innocuous value. #warning "You must replace the values marked FILLMEIN with real values from the TTN control panel!" // practice, a key taken from the TTN console can be copied as-is. // size, we don't use it in this example. || point in wasting codespace on it. // transmit on port 1 (the first parameter); you can use any value from 1 to 223 (others are reserved). // don't request an ack (the last parameter, if not zero, requests an ack from the network). // Remember, acks consume a lot of network resources; don't ask for an ack unless you really need it. // Disable link-check mode and ADR, because ADR tends to complicate testing. // minimizes air time and battery power. Set the transmission power to 14 dBi (25 mW). // networks or in other regions, this will need to be changed. // will want to call `os_runloop_once()` every so often, to keep the radio running. Now that we've got our Feather M0 connecting to The Things Network, we'll add a FeatherWing OLED to view the active connection with The Things Network and the sensor measurements. Snap the FeatherWing onto your Feather, navigate to the FeatherWing OLED Arduino Setup guide, and follow the instructions to set up and test the OLED. Once you verify that the FeatherWing OLED works, copy and paste the code below into a new sketch. Make sure to re-enter your unique device identifiers before compiling and uploading the sketch. // Show image buffer on the display hardware. // internally, this will display the splashscreen. CINDAN founded in 2017 to engineer products that help industries identify their hidden savings in conversion cost and enable digital connected factories with real time data for smart decisions & error free machines. "If you want to find the secrets of the universe, think in terms of energy, frequency and vibration"